The U.S. Supreme Court heard a record number of ADA-related cases this term. In L.C. vs. Olmstead, the Court makes decision on the "most integrated setting" application to state programs and services. The question to the Court: does the ADA require Title II entities to place people with disabilities in inclusive community-based programs instead of segregated institutional environments where appropriate? 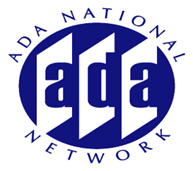 Join the Great Lakes DBTAC for a discussion of ADA-related Supreme Court decisions with John Wodatch, Chief of the Disability Rights Section of the U.S. Department of Justice. During this session, we will review the Olmstead decision, other Supreme Court decisions this term, and the impact they may have on future compliance and litigation of the Americans with Disabilities Act.